well I'm not confident with my english writing but if that's the only option to achieve you (even if in my imagination), I will try it! It may sounds crazy but I can feel the big distance between us and it isn't because I'm in Portugal, and you in Korea... Everyday I try to get close to you even with all these barriers and I live a lie when I say that I'm with you. But I will keep doing this... I have done for the past 2 years and I will do for the next 2 or 20 years. But well, I don't care... Let's go straight to the point.. I've write this because it's your 2 year anniversary, I saw your video '2nd BTS birthday BTS Festa 2015' and I felt that I have a lot of things to say but now that I'm writing, I don't know nothing anymore. Besides, the korean army can celebrate this together with you and what can I do? yeah, write here, doing videos (this one and this one) and writing letters. And you will see and read it? I don't know and I will never know. But I will keep writing. Because, like I said before, it's the only things that I can do to achieve you. 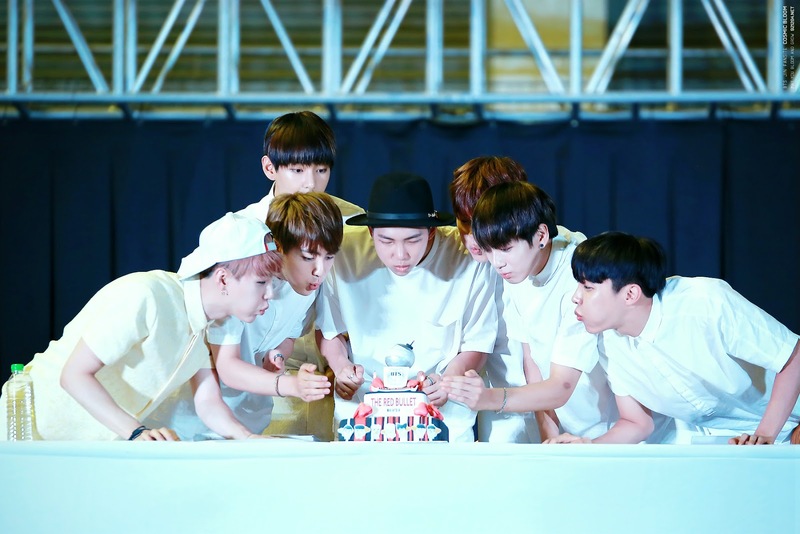 Ok, let's stop being cheesy and happy Birthday my little boys 방탄소년단!!! I saw you growing up for the past 2 years and I can't be more proud. Your music, your lyrics, your dance, performances, visual and yourselves! Everything changed, you're more profissional but, like in the beginning, I can feel your love for what you do, for the group and for us. It's this that make me love you more and more. And of course, you being you, it's the most important thing! So yeah, congratulations for achieving your dreams and for never stop believe and dreaming! Never forget that I love you, army loves you, and we will support you no matter what. I hope we can meet one day... Tomorrow, next month, next year or in 10 years. I don't care. I just want to see you smile right in front of me and be able to say "yeah I loved you, I love you and I will love you". Sorry if this will never be in korean and I will never talk in korean but that's my weakness.